If your property has been flooded or otherwise damaged as a result of purposeful, unnatural change in the movement of water flow, Angotti & Straface Attorneys at Law L.C. in Morgantown protects your rights and works to ensure that you receive compensation for damages incurred at the hands of another individual or entity. Any time a change is made to a property, the manner in which water flows across that property and surrounding properties will be altered. In some cases, water is prevented from properly draining. Water may also become displaced and caused to flow in an unusually high amount or in an unexpected way onto your property resulting in significant destruction to your buildings or land. It is forbidden to improperly divert the natural flow of water in a manner which damages the property of another. Water may not be directed from storm drains, ditches, pipes, ponds, gutters, storage tanks, and other flood control infrastructure by any means. There are many ways in which water can be improperly diverted, including the installation of a new property feature by an adjacent landowner, placement of downspouts or sandbags, the construction of a new building and/or parking lot, or excavation. Water diversion damage claims can be complex and should only be handled by an experienced law firm. Since 1952, Angotti & Straface have been successfully assisting property owners reclaim their losses. We apply extensive legal experience, building code and property damage knowledge to provide the strongest possible case. 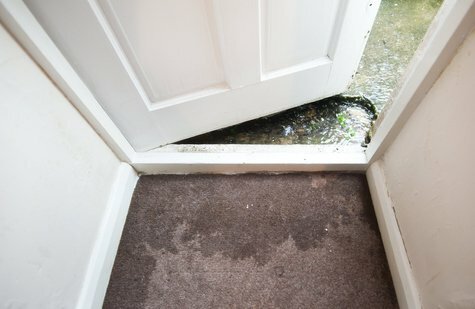 Has Flooding From Overflow Water Damaged Your Property? You do not have to suffer from flooding and water damage caused by the unnatural diversion of water. Although your neighbor may have taken steps to prevent his property from being damaged by attempting to alter the natural flow of flood waters, you do not have to accept the overflow of water onto your property. If the water diversion is causing damage to your property, you have the right to seek compensation for your losses. Contact Angotti & Straface to request an appointment for a complimentary initial consultation to discuss your case at: (304) 292-4381.